Photo taken in Beijing, China. 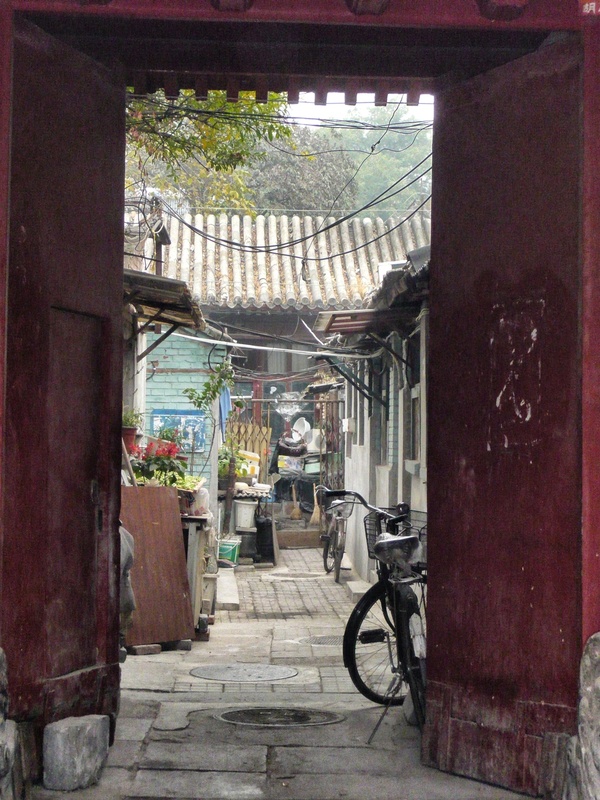 I had heard about the mysterious, hidden hutongs, or narrow alleyways, that wind like a serpentine throughout old Beijing. Some are very hard to find and once your inside, its like stepping back in time into an ancient hidden world. It is easy to get lost inside the hutongs as well. I love this shot into an old, small hutong which shows how many people still live in China. This is a beautiful shot, and a beautiful description of the hutongs. I have only ever read about them in books but never actually looked at a photograph of one before! We were taken into a hutong when we did our China tour, The family offered us tea and raisins, and our guide acted as interpreter. It was a fascinating experience to met these humble people who live in such cramped conditions. There was only one room, with a curtain separating the tiny sleeping area. There was no electricity and the daughter had to do her school homework by candlelight. How cool! I didn’t get to meet any locals inside the Hutongs but that sounds fascinating and right up my alley (he he… No pun intended!). What a great experience!